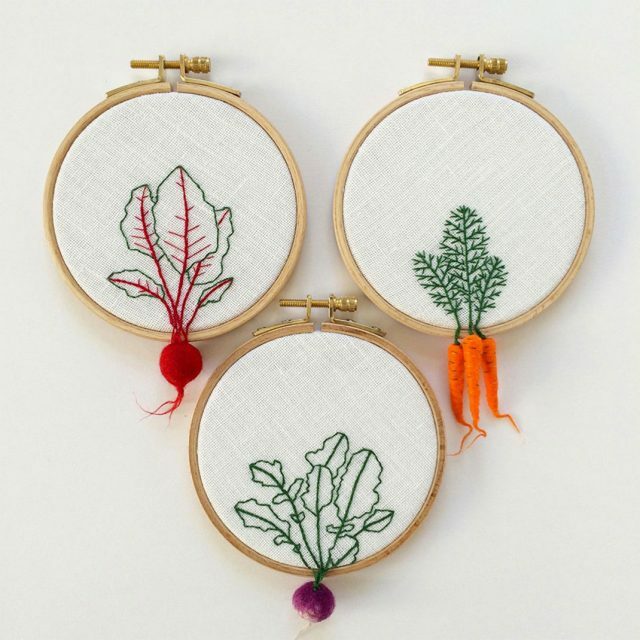 Veselka Bulkan is an artist who uses incredible detail to create vegetable shaped embroideries. 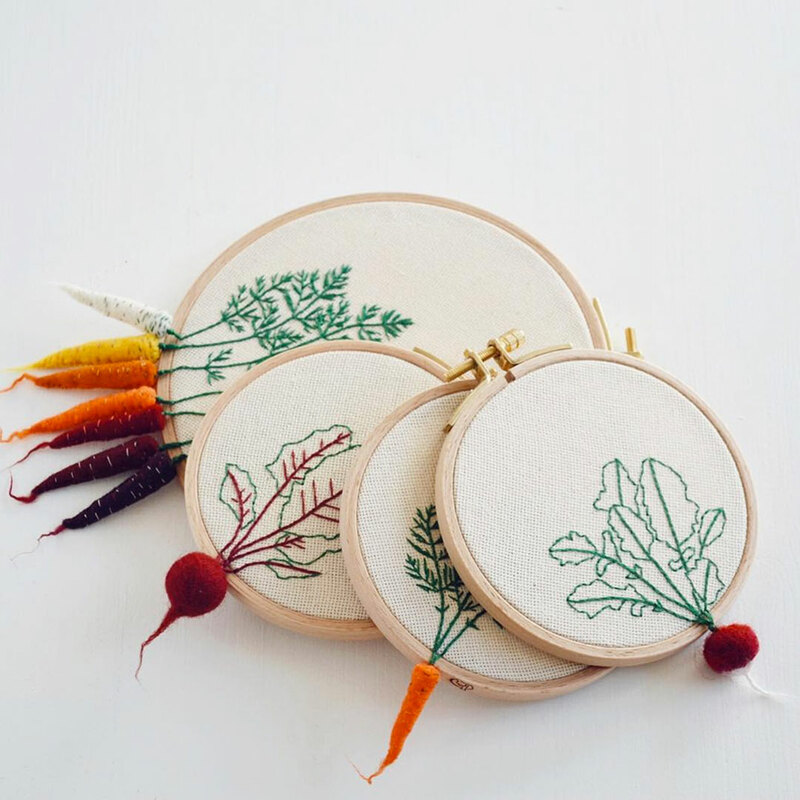 She creates beautiful carrots, beets, radishes and other roots, for the simple pleasure! 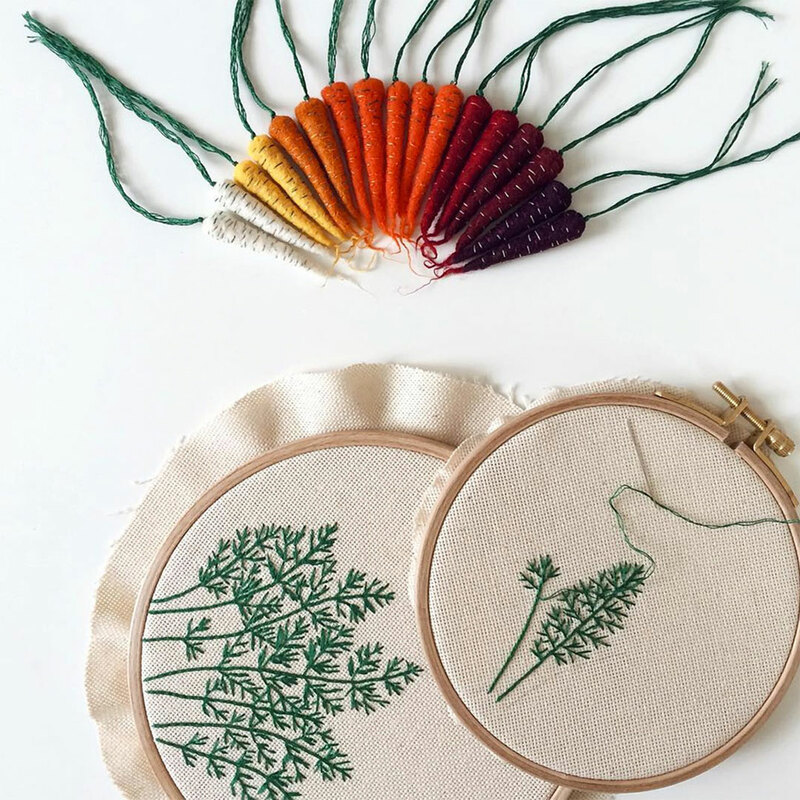 Lovers of art and nature will surely appreciate this. 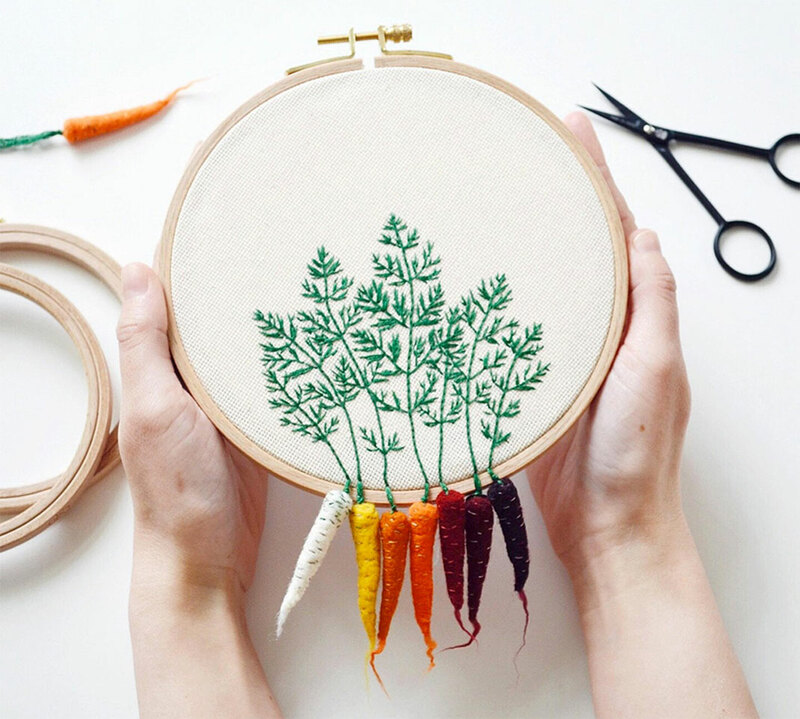 The artist and designer Veselka Bulkan works in Munich, Germany. 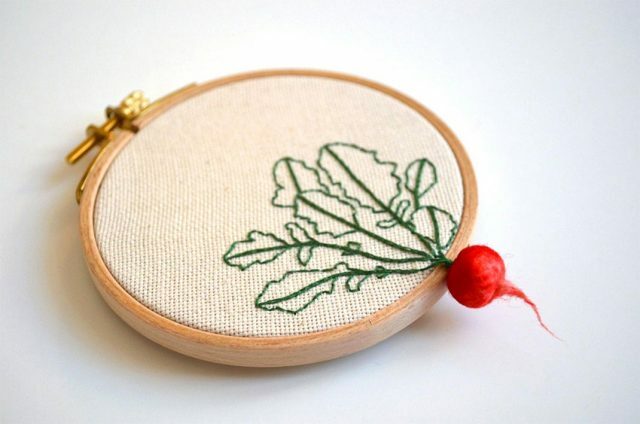 Her first inspiration, as you’ll understand is vegetables! 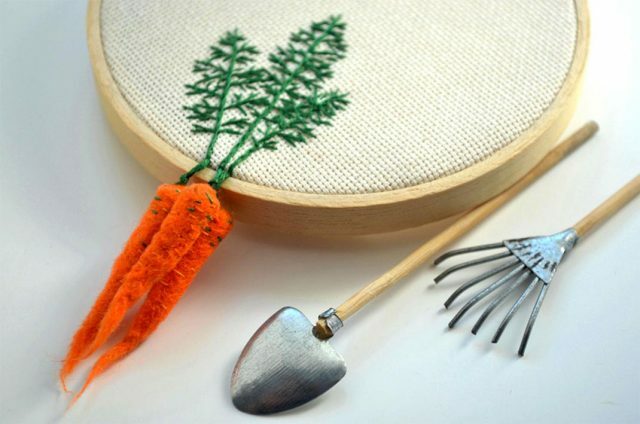 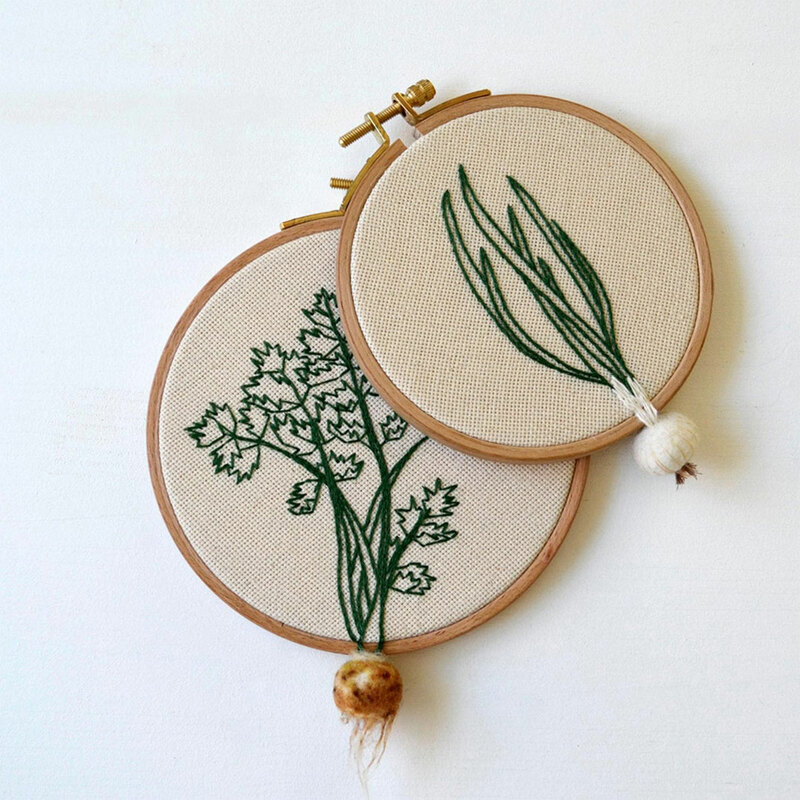 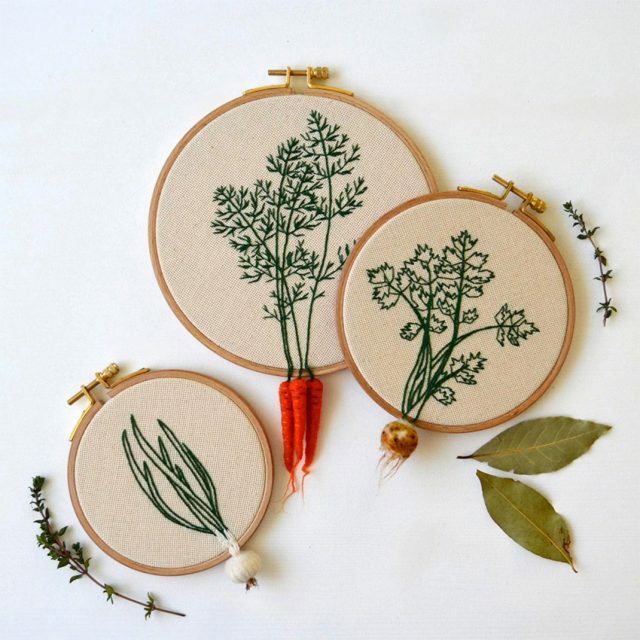 She embroiders pretty little vegetables clinging to the frame by their leaves or twigs. The work of Veselka shows impressive precision! 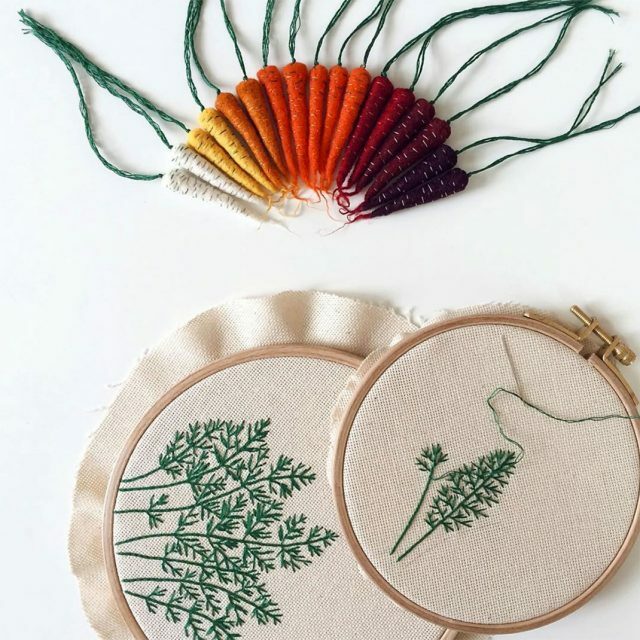 If you enjoyed these embroideries, you can find more photographs on her account on Instagram.